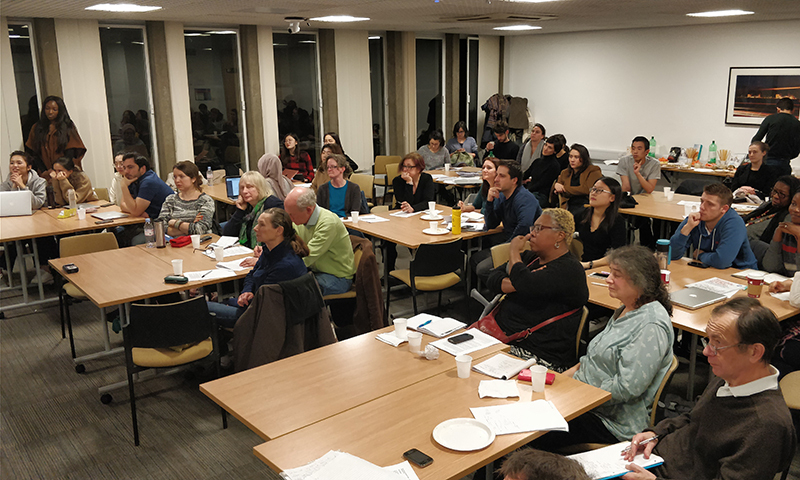 On Thursday 14 December 2017, the DPU and Just Space brought together community groups from across London to discuss how social impact assessment could be developed as a tool to protect community assets and social infrastructure, promote alternative development proposals and value social sustainability within London Planning. All four cases are located in neighbourhoods characterised by their diversity and each speaks to the challenge of creating space for community-led development in contexts experiencing intense regeneration pressures. The student presentations were complemented by contributions from each of the community groups themselves, as well as insights from two external organisations – Just Fair and Francis Taylor Building – who provided a legal perspective on the topic. Social Impact Assessment has been identified as a key policy recommendation by Just Space within their Community-Led Plan for London. The collaboration between Just Space, community groups and the MSc UDP programme this term sought to bring substance to this call. Thursday’s event provided an occasion to share this collaborative work and to facilitate a collective discussion on ways to push an SIA agenda to the heart of current consultations on Mayor Sadiq Khan’s proposed London Plan . Presentation slides and recordings from the event can be downloaded below and full reports will be available early in the New Year. *The Ubele Initiative, together with Just Space, played a central role in facilitating student engagement with both St Ann’s Redevelopment Trust (StART) and Wolves Lane Horticultural Centre.